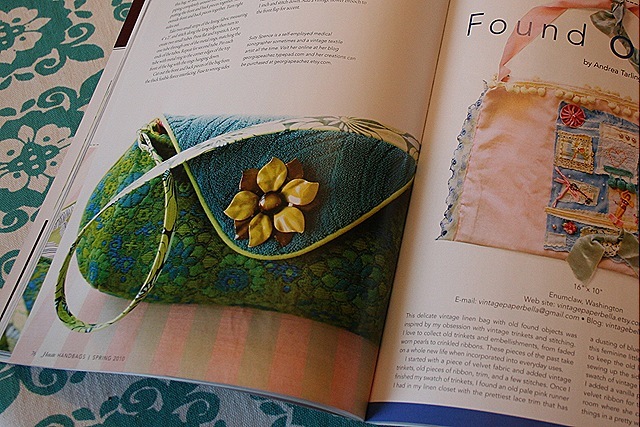 There is a new issue of Haute Handbags coming April 1. 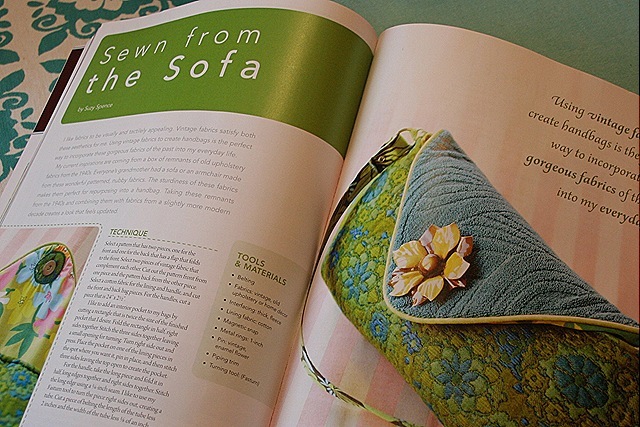 It's a great issue with a lot of beautiful bags and great ideas. I made a bag for this issue and it really is a shot to the old ego to see it in print. I've got some new to me vintage sofa fabrics to work with too so I think I will work on some sewing for the next few days. Congrats! Gee I can say I knew her before she was the World Famous Georgia Peachez! Such a cute bag. What a nice place to be published – hopefully it will turn up at my local bookstore so I can grab a copy. Congratulations! Well if they’re going to put such high-quality work in their mag then maybe it’s about time I got an issue. 🙂 Perhaps it will inspire me to do something with all that vintage fabric I’ve got lying around. Congratulations on being published! How cool! It is so neat to know so many published people!! Congrats! I love vintage sofa fabrics…can’t wait to see what you come up with. Awesome bag, Suzy! I live the fabrics. Congratulations, I love this magazine and will be sure to purchase it as soon as I find it. Gorgeous work! I know I love the one you made for me! 😉 congratulations to you! I am so happy to see your creativity get the recognition that it deserves!!! I have always loved your work and so did my customers. Your bag is splendid! Congratulations on being published. 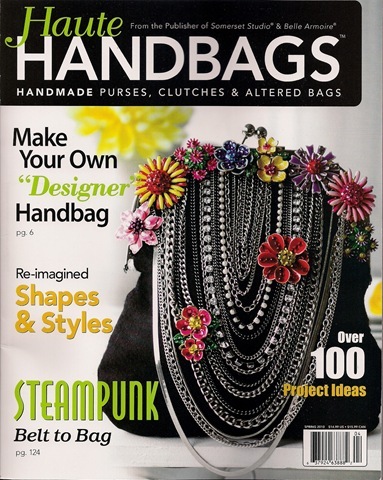 That bag on the cover is mind-blowing….I’ll be sure to buy a copy of Haute Handbags! I loved your purse. I was also in this issue.